Side by side on the front page of the Jerusalem Post, "Terror Victim Cmdr. Baruch Mizrahi laid to rest on Jerusalem's Mt. Herzel" and "Israeli-"Palestinian" peace talks set to resume today." What a mockery of justice, what a mockery of all that is true and holy, what a mockery of all logic and plain common sense. Our enemies open fire upon civilian vehicles, they attempt to murder civilians on their way to the holiday meal, and we carry on with the illusion of "Peace talks" (imposed upon us by foreign powers with their own political agenda and by some of our own misguided people). 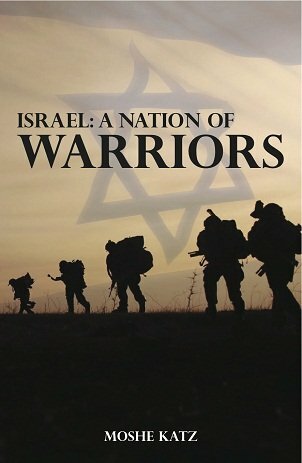 Baruch Mizrahi, of blessed memory, lived and died as a true warrior. His last action gave his family a chance for life. As the family drove along Route 35 Baruch saw a man with a gun on the side of the road. "Look" Baruch told his wife Hadas, "there is a terrorist shooting". Those were his last words. His last action was to press on the gas. As his wife says, in his last seconds of his life he saved her life and the life of the children. But then she, the brave warrior wife, took action that kept her and her children alive. Baruch had done what he could but now it was in her hands. She understood that he was dead. There was no time for hysterics. To stay alive and to keep her children alive she had to take calm action. She understood the enemy. She understood that women and children would not be spared. She did not possess any "Fluffy Liberal" ideas about truth and justice and peace. If she did not act she and her children would surely be murdered as were so many before her. The Jerusalem Post reports, "Although she was wounded and bleeding, she managed to grasp the car's steering wheel as it zigzagged across the road. She gained control of the wheel and yelled at her children to take off their seat belts and lie on the floor of the car to escape bullets. Only once she felt they had traveled a safe distance did she stop the car, and then used her cellphone to call for help." This is a nation of warriors, of heroes. We lost a great warrior, 25 years service with the IDF followed by a career with the police. Her goal is to raise her children to be good loving people, to serve in the army and to get married, to carry the torch forward. The nations mourns with her.